Chinese entertainer Zhou Xun has joined forces with the United Nations Development Programme to launch a campaign raising environmental awareness. Zhou Xun, who has three film projects on her schedule, told the Shanghai Morning Post on Wednesday that promoting the new campaign would be a major job for her this year. She is set to travel around China to participate in UNDP-organized activities. 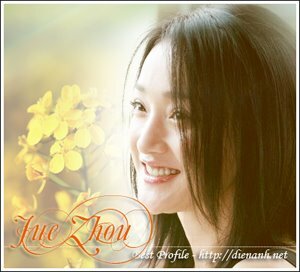 A Chinese UNDP representative told the newspaper that the organization thinks Zhou Xun has a squeaky-clean and positive public image which will help get more people involved in the program. The campaign is looking for official name and logo ideas through the Web site Sohu.com (http://xiaozhou-undp.yule.sohu.com).